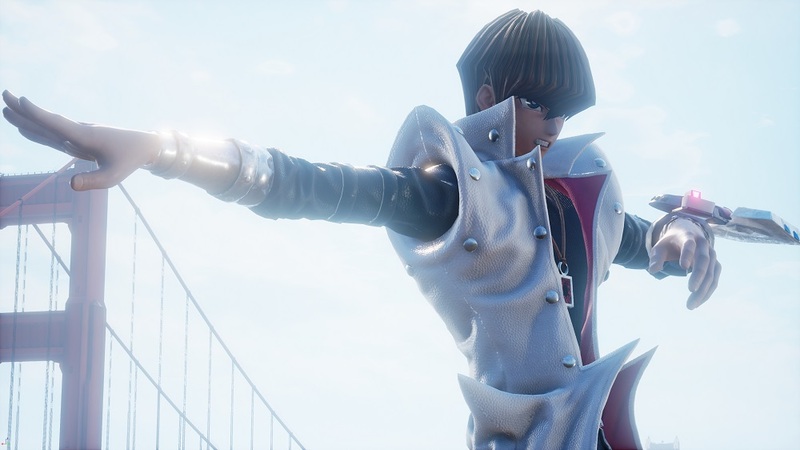 Namco Bandai has revealed one of a selection of characters headed to the roster of the comprehensive-but-not-great anime fighting game Jump Force. Yu-Gi-Oh! 's Seto Kaiba will join the game alongside two further mystery characters in May. The publisher has also taken the opportunity to lay out the calendar for Jump Force' DLC and other updates going forward. Next month will add clans, avatar costumes and the "Vertex Effect". May will bring the three paid DLC characters and a new stage, June and July will bring Tournament and Arena Events, along with more avatar costumes, whilst August will see three more newcomers arrive in the form of paid DLC. So that should keep fans busy until summer, at any rate. Launching in February, Jump Force brings together characters from a wide variety of classic and modern anime for an almighty punch-up, although the game was slammed on release by critics and fans.